We are widely recognised as leading experts in water treatment control, monitoring and waterside or fireside cleaning and maintenance of steam generation equipment. 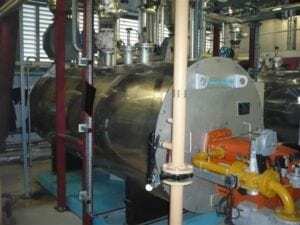 We have over 25 years’ experience working on Babcock Wanson steam production equipment and are unrivalled in our knowledge and understanding of how these systems work to produce steam. We routinely install and maintain pre-treatment plants to soften or demineralise water and adjust pH levels. Within the boiler, as pure water evaporates into steam, levels of dissolved solids increase and this can lead to foaming and carryover. 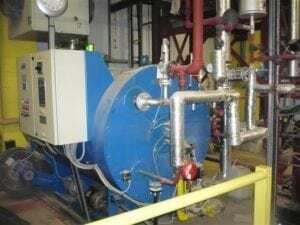 Boiler blowdown reduces the concentration of these solids, so effective management can reduce the amount of blowdown, saving water and costs of disposal. Our trademarked steam generator water treatments chemicals are bespoke and formulated to meet the exact requirements of coil boilers or steam generators. “Deep Water Blue have worked with Rayner to provide support for the plant steam system at our newly constructed facility in Worthing. Deep Water Blue and in particular, Mick Casey, have provided an extremely professional, attentive and thorough level of service throughout our start-up and commissioning phases, which have required varying demands on our plant steam system. To discuss your own requirements for water treatment for steam generation, please call us on 0870 460 2980.